Wesley Lewis Streater, age 68, died on November 14, 2018 in Winona, Minnesota. Wes was born in Winona on February 4 1950 to Harold and Louise Streater. Wes attended the Winona public schools, went to Dartmouth College, and graduated from St. Mary’s College in 1979 with a degree in English Literature which no doubt fueled his passion for reading. Wes was an avid reader his whole life and felt his day was not complete unless he read 3 different pieces of exquisite prose by 3 different authors. Wes fell in love with music and art at a young age. The Winona community was greatly enriched by the many artists and musicians Wes brought to town, first with his brother John as a partner in Porkbelly Productions, and then later when he was attending St. Mary’s and in charge of the student speaker fund. Wes brought Winona The Flying Burrito Bros, Ralph Stanley, and Uncle Vinty, among others. Wes left Winona after college and spent a couple of years in Minneapolis before moving to Milwaukee where he ran a cleaning business for many years and worked at or managed myriad bars around the city including The Toad Café, Shank Hall and Quarters Rock and Roll Palace. Wes was instrumental in bringing bands to town as well as connecting people, and was apparent in the Milwaukee music scene for almost 30 years. Wesley loved Milwaukee, the people, and the music, and he will be missed there. After all those years of working and facilitating fun in Milwaukee, Wes returned to Winona in 2011 to care for his aging parents. Wes is survived by his siblings Mike, Liz, Tom and Mat, and many nieces and nephews. He was preceded in death by his parents, his sister Mary Ann, his brothers Jim and John, and sister-in-law, Kathy (Mike). The family would like to thank Dr. Kwong and the staff at Gunderson Clinic for their excellent care of Wes. We would also like to thank so many of Wesley’s friends who are too numerous to list, and let them know how special all of their love and care was to Wes during his illness. We will celebrate Wes’s life at Broken World Records on Saturday, December 8th from 5:30 p.m. to 9:00 p.m. with music, food and beverages. A private interment will be held. 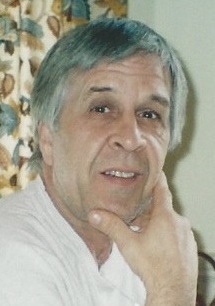 Words of sympathy and remembrance may be left at www.fawcett-junkerfuneralhome.com. Services entrusted to Fawcett-Junker Funeral Home, Winona.